Hey guys, just keeping you all updated on the latest upgrades to our Spirit Tracks content. We have added chapters 9 and 10 to the Spirit Tracks Walkthrough. The 9th chapter covers the Tower of Spirits Part 5, while the 10th chapter covers the Sand Temple. Additionally, Chapter 1 of the Spirit Tracks Walkthrough has been upgraded and is now 90% complete. It is just a matter of fixing up some of the information boxes, and adding videos and that baby will be ready to go. Chapter 1 covers Link’s journey to Castle Town. Formatting on Chapter 2 is already underway. Chapter 2 covers the Forest Temple. Lastly, we’ve altered are Spirit Tracks Heart Containers and Spirit Tracks Bosses page. Both pages have new information on them concerning the locations of all heart containers, and a majority of the bosses. However, both pages are still under heavy construction and will be updated in the next few days. 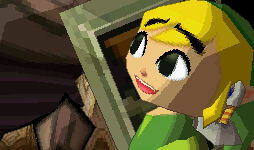 Be sure to check back at Zelda Dungeon over the next few days as we are your Spirit Tracks Headquarters!